It's always somewhat sad when the Sunday of Tramlines weekend comes around because you know it's the final day and it's all almost over for another year. However my schedule for the day definitely helped ease the pain a little bit, and consisted of both old favourites and a couple of acts I've heard a great many good things about but never actually seen. My day begun at Maida Vale with a band who are fast becoming one of my absolute favourite live acts. Suffice to say, a Generation gig is somewhat of a vehement whirlwind; it's fast paced, hard-hitting and delightfully raucous. Having seen them for the very first time only a couple of weeks ago, I fell head over heels in love with their audacious punk-rock styling and all around energetic, impassioned aura. The only complaint I have about this particular performance was that, being on so early in the afternoon, they didn't have more of an audience to enjoy it with them; this is a band worthy of hitting the big time and who can offer something unique, fun and exciting to the industry. I reckon we'll be seeing and hearing a lot more of Generation in the months and years to come. Crystal Bar always becomes somewhat of a second home over Tramlines weekend, and it has to be said... the sound, lighting and general set up this year was nothing short of spectacular thanks to the wonderful people at Aggressive Management. I have a lot of love for Bayonet; they're four genuinely lovely guys with a huge amount of talent and musical creativity. 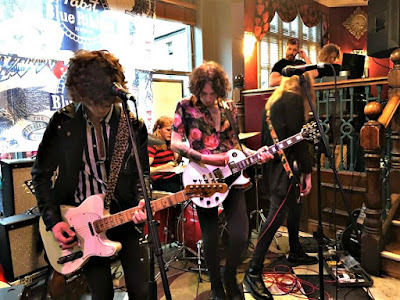 Their deliciously upbeat indie-pop styling translates perfectly into the live setting, appearing effortless and opulent, and exuding a lively sense of ebullience from start to finish. One of the most wonderful and critically important elements of any music festival is, in my opinion, discovery; it's always great seeing so many of your favourite bands collectively, but I also try and make a point of adding at least one brand new act to my schedule. Sleeptalking have managed to evade me thus far this year, but I've heard so many people talk of how completely and utterly brilliant they are... particularly live. I wasn't disappointed. Intoxicating, spellbinding and with an authentic and eccentric edge, I genuinely never wanted their performance to end. Displaying such bold and extravagant showmanship throughout, these guys definitely know how to put on a real show. I have so much respect for King No-One as not only are they a band with personality, zest and copious musical ability, but they are a band who have something to say and aren't afraid to voice their opinions on some of todays' most controversial topics; to that end, they can always be relied upon for a shimmering and luscious live show and frontman Zach Lount is such an enigmatic performer. They appeared at ease on the sizeable Crystal Bar stage, and this was definitely one of the strongest performances I have managed to see from them to date. Words alone could never be enough to describe Keir and his astounding talent. Music is everything to me, and I go to a lot of gigs, but I have never been so moved by a musical performance before until I saw him; I even had tears in my eyes at one point. It's difficult to explain in a way that would do him justice and I do think that ultimately he has to be seen to be believed... but what I will say is that I was unbelievably blown away by his powerhouse vocals, which are so stunning and completely unlike anything I have ever heard before. To think that any one person could be blessed with such a beautiful, soulful voice really is nothing short of a miracle and in all honesty, I feel blessed myself to have been able to watch him perform in such an intimate setting. How he is, as of yet, unsigned is beyond me and I think that in the years to come this performance will go down as one of those historic 'I was there' moments. The music world has lost a number of its' brightest lights in recent years... Bowie, Prince and George Michael, to name but a few, and I think the problem with the industry as it is today is that there are too few artists with a big enough talent and charismatic enough personality to not necessarily replace these legends but to at least be memorable enough to deservedly stand alongside them and be seen in a similar light. I can safely, wholeheartedly and without hesitation say that Keir truly is a superstar in waiting. Admittedly, I was exhausted by this point, but what better way to end my Tramlines Festival 2017 than with a band I have come to see as firm friends over the last couple of years... Leeds' heroes, The Doldrums. It's been a year of change for this band so far, having recently lost a member and then subsequently gained a new one in the form of brilliant new bassist, Tom Wilde. With Josh Langley now the sole frontman and lead vocalist, their sound has noticeably changed a great deal of late, but this is definitely a positive thing; with their new music sounding positively huge and their live performances growing stronger by the day, I'm so proud of how far they've come since I first discovered their music back in 2015. I think it's safe to say that Tramlines 2017 was the gift that just kept on giving. This was my fourth year in attendance at the Sheffield inner city music festival, and I managed to see more bands than ever before in some of the citys' most impressive independant venues. The festival is always the highlight of my year, and not just because of the bands themselves and their performances but the friendly and relaxed atmosphere as a whole; I always bump into so many friends, and I always walk away with at least one new favourite band to rave about. That's the inexplicable beauty of a music festival. My weekend began at the Frog & Parrot with a band I've been dying to see for months. 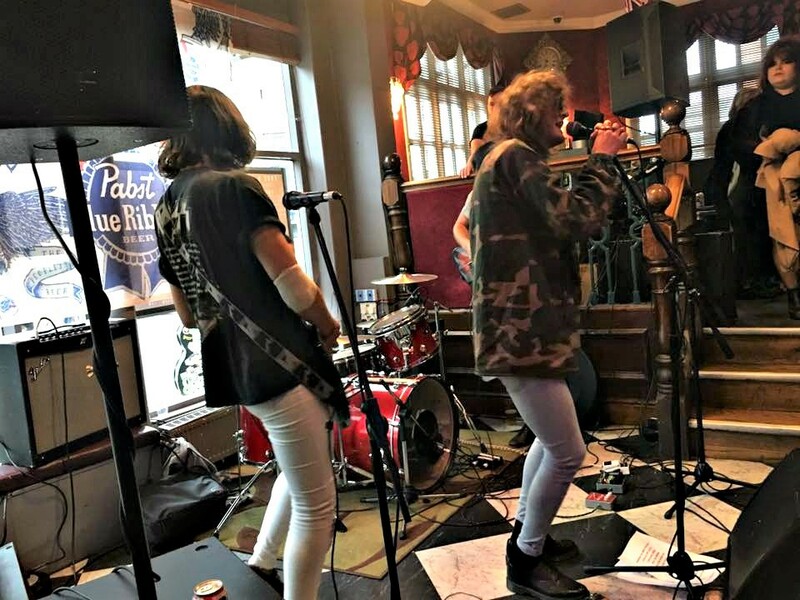 Hailing from Essex, Breed are an eclectic grunge-punk force to be reckoned with and gave an exceedingly atmospheric performance, lead by snarling vocals and laced with searing melodics. Next came The Americas, and where do I begin apart from to say that I am 100% in love with this band and everything that they do. I've managed to catch them live four times in the last couple of months and their performances are always nothing short of breathtaking. For a three-piece, they have such a gargantuan stage presence and present an energetic, shimmering sound and upbeat aura which commands attention from their audience from thrilling start to gratifying finish. 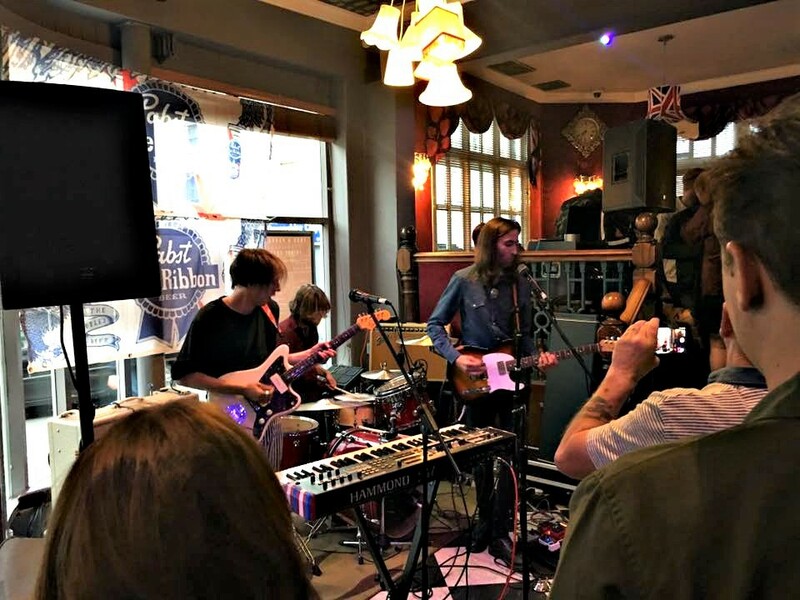 Kashmere almost certainly have an intriguing yet endearing quality to them, and never fail to impress with their creative and infectious blend of indie-pop. Soaring riffs and a cool, confident vocal flair resulted in them breezing through a set packed full of vivifying and intelligent crowd pleasers, thus sealing their place as one of the most exciting new acts on the block. The band I was most excited to see this year, was undoubtedly the achingly cool The Garage Flowers. By the time I arrived at the Three Cranes Hotel for their performance, I was quite literally jumping up and down (much to the amusement of frontman Joe, I think!) with excitement. These guys have it all; a flair for witty and intelligent songcraft, infectious hooks and a kooky image to match. Despite being given a terrible mix on stage, which the band had asked to be changed on numerous occasions. and their set being unfairly cut short due to timing issues, the quartet powered through it in spectacular fashion with immense spirit and dynamism. They bring an unforged element of fun and eccentricity to everything they do, making it all the more frustrating that they were treated so badly by those responsible for overseeing this stage of the event. However, with Joe drinking just enough to make himself be sick on the pool table in valiant protest, I think it's pretty safe to say that they got their revenge. All of that aside, I was thoroughly impressed by what I saw and I cannot wait to see them again soon.